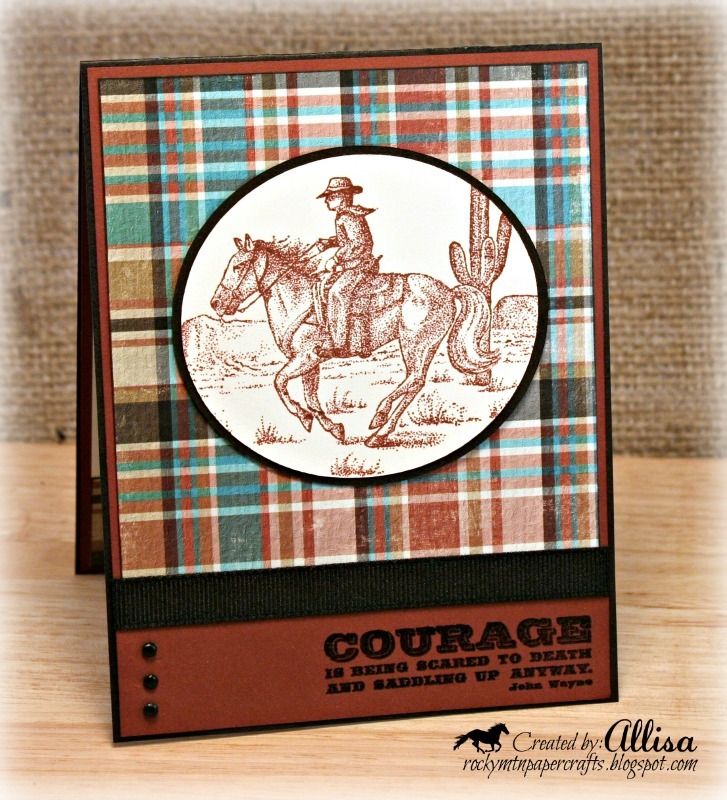 I am sure the inside of my card comes as no surprise...I love the western theme sentiment stamps that come with this set! You are the queen of the west! This is wonderful - great colors - great image! What a great card Allisa! I love everything about it! linda is right, you are the queen of the west! You're the Queen of Everything! This is an outstanding card, Allisa! That paper, those colors, the image, the sentiment... everything is so beautifully coordinated. Without a doubt one of the best Man-Cards I've ever laid eyes on. Thanks for the kind words about my sketch, but you really made it shine! 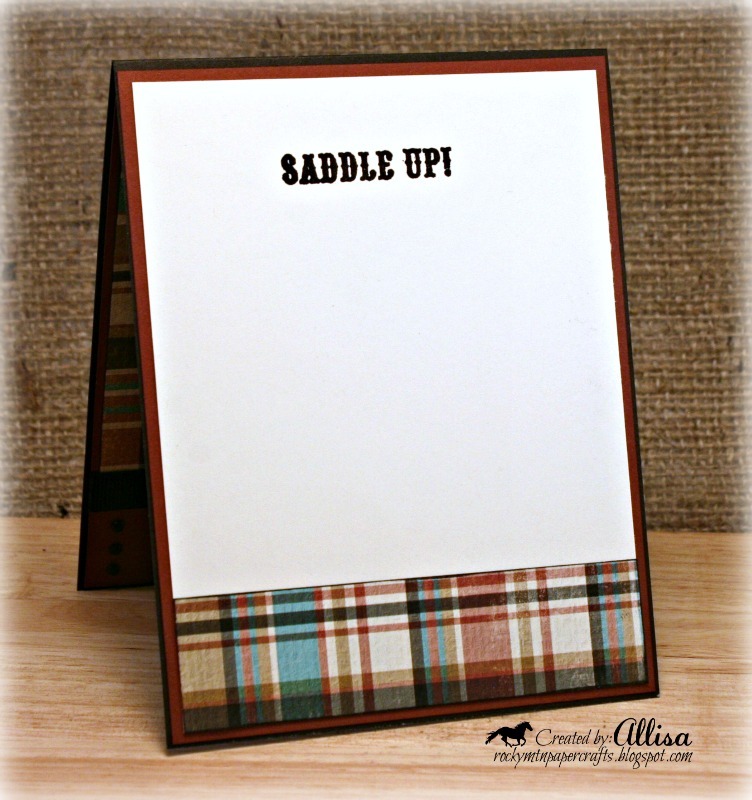 A great card for the guys - love that plaid!Thanks so much for joining us this time at the Gingerloft Challenge. Now that's a manly man-card! The plaid is fantastic, and the image and sentiment just go hand in hand! Well, I miss the bees this week, but this is pretty awesome too! ;) I love that plaid! It is so comforting, kinda like a well-worn flannel shirt. Great card! Love the stamps. Oooohhhh!!! Love that plaid! So manly! Perfect for a guy! You always have such great "insides"! Love that image!!!! 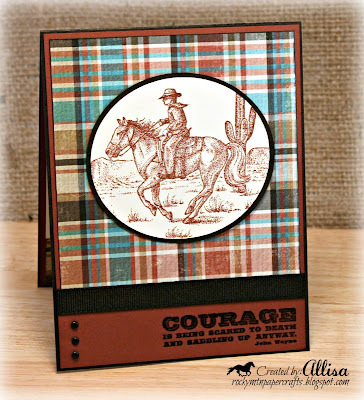 Oh, Allisa, you have carved out such a special and glorious niche for yourself with your stunning Western cards. This is perfection!! Oh wow. What a handsome card. Love it. What a fabulous image! Love the earthy colours of your DSP - you always have such lovely papers! Great male card! Oh how I miss that plaid paper. beautiful card! I absolutely love it! Thanks for playing along with us at lawnscaping! Great masculine card!! I find super difficult to make those and yours is simply great! What a great masculine card! I love it - you totally rocked it! What a great card! I love the dsp with this card, and the clean layout is perfect for it, too. And I love the stamped image. Allisa I love your masculine cards. They are just little works of perfection! 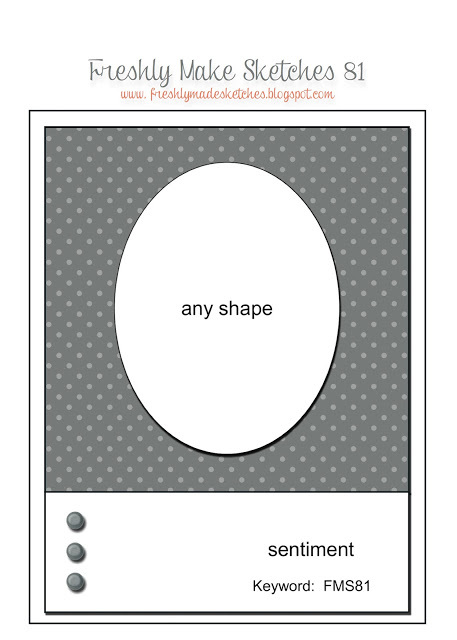 Fabulous masculine card! That is just the perfect paper for your image! TFS!